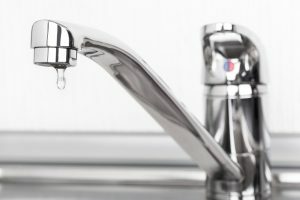 It happens all too often – a tenant notices an issue with their apartment, whether it’s a small leak, an issue with a door or window not closing properly, or the garbage disposal suddenly not working. As a property owner and landlord, it’s quick and easy to make these repairs before they turn into a large, more expensive problems. But time and time again, tenants don’t speak up about these issues until it’s too late. So now the question is, how can you find out about these problems before they’re big ones? Having an open line of communication with your tenant will make a huge difference when it comes to the timeline of your tenant bringing up an issue with the apartment. Sometimes tenants can forget that the apartment they are living in is your investment property and staying in contact with the tenant will help remind them of that. Staying in contact with your tenant will also help build your relationship and allow the tenant to feel more comfortable coming forward about issues. Let’s face it: life gets busy and sometimes we put small tasks on the backburner and they eventually get forgotten about. To help reduce the severity of repairs to your rental property and help your tenants remember to inform you of them, schedule routine check-ins and inspections of the property to make sure everything is in working order. Everything seems to be online these days and if it makes things easier, so be it! If you haven’t taken the leap into the online sphere for your rental property, now is the time. From online rent payment to maintenance requests, having some sort of portal for your tenant will make things much easier. Not ready to offer an online portal? Allowing your tenants to text you when issues arise is also extremely helpful! If you’re ready to take the back seat as a property owner, contact Lamacchia Property Management today at (855) 213-3410 to learn more about our services and programs.